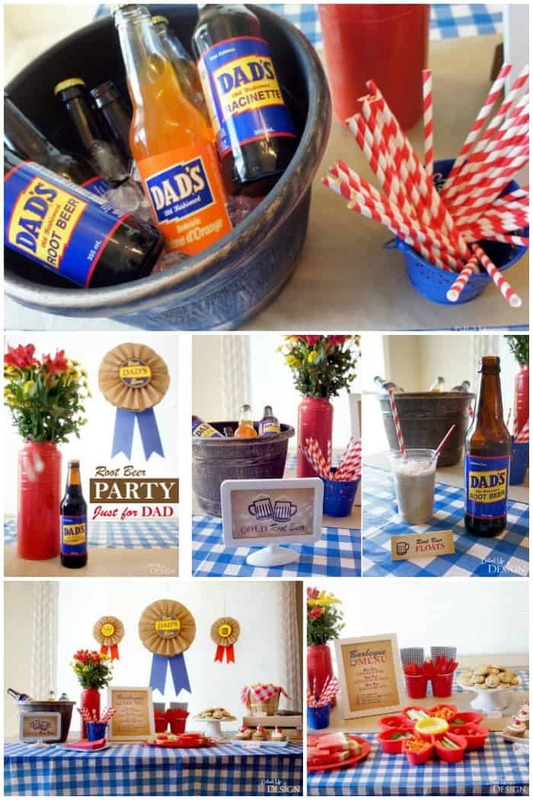 This Root Beer Party post is courtesy of our contributor Chantelle of Dolled Up Design…Are you looking for a fun way to celebrate a special Dad or Dads in your life? 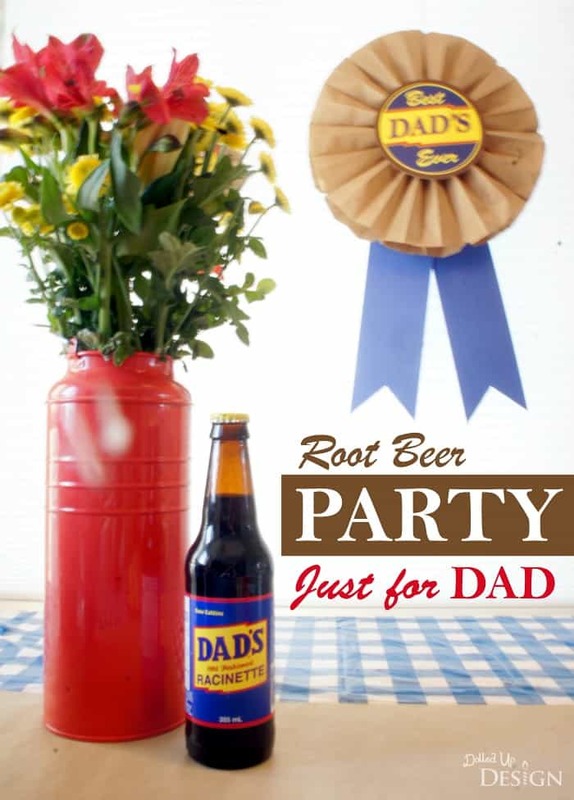 What could be more fitting then a party filled with Dad’s brand Root Beer? 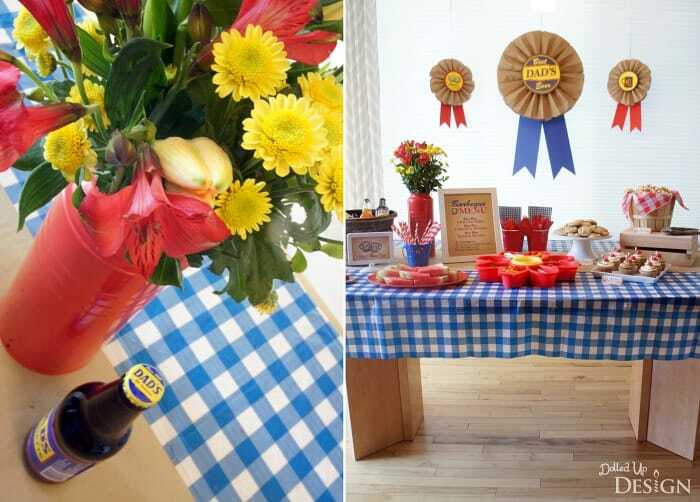 For my Root Beer party, I went with splashes of blue gingham and brown paper for a country picnic feel. 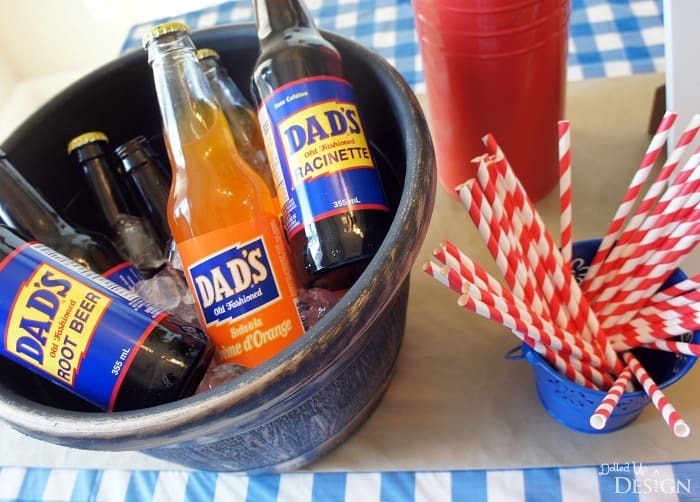 I also brought in splashes of red and yellow to mimic the primary colors on the Dad’s Root Beer labels. 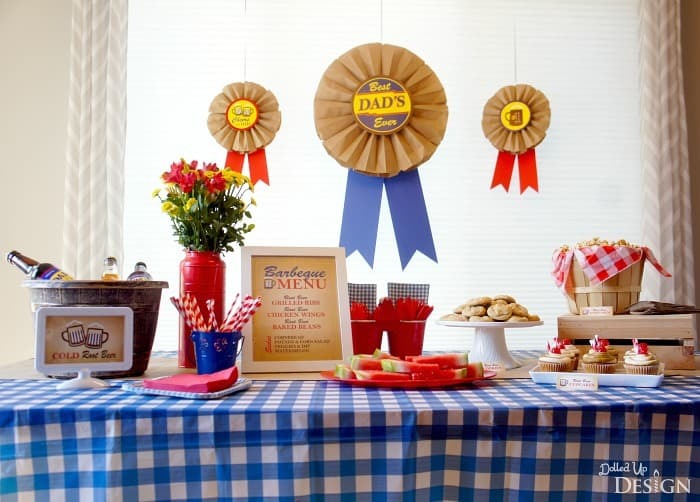 I shared my Paper Bag fan tutorial a few months back, and was excited to use that to create these giant award ribbons. To make them, I designed and printed off the round decals for the front of the paper fans, with two strips of brightly colored posterboard glued to the backs. 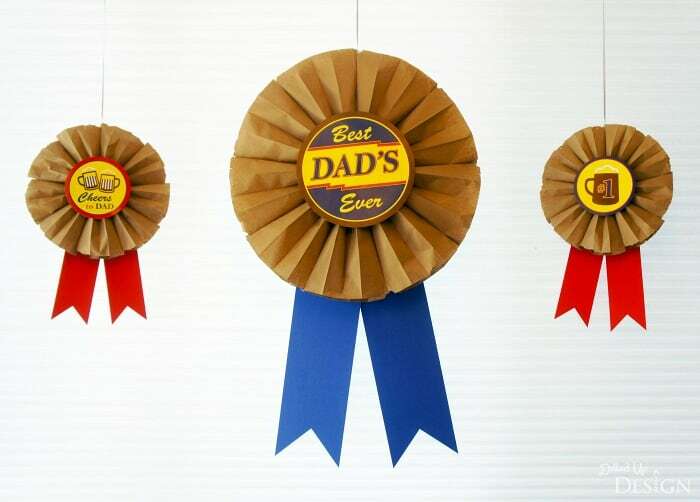 I love these oversized award ribbons and they could easily be customized to celebrate any milestone or achievement. 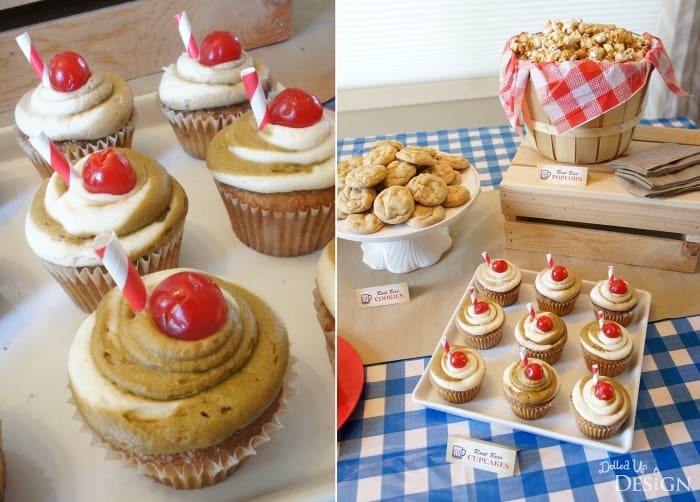 For sweet root beer inspired treats, I baked up some Root Beer Float cupcakes, Root Beer Pudding Cookies and Root Beer Popcorn. Yum! 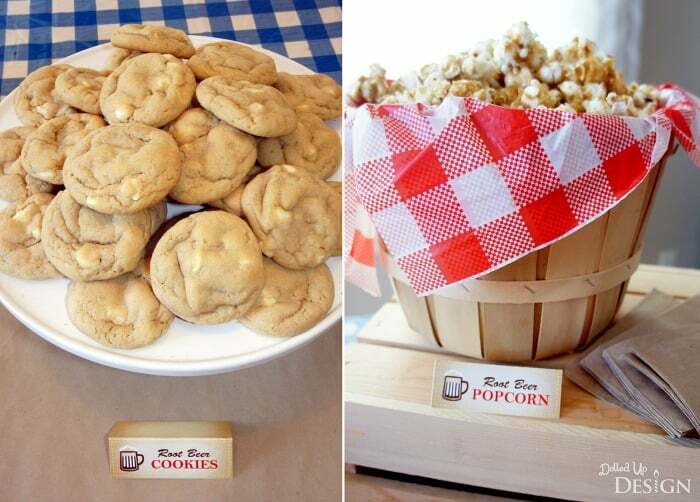 Visit the party post on Dolled Up Design for links to all the recipes! 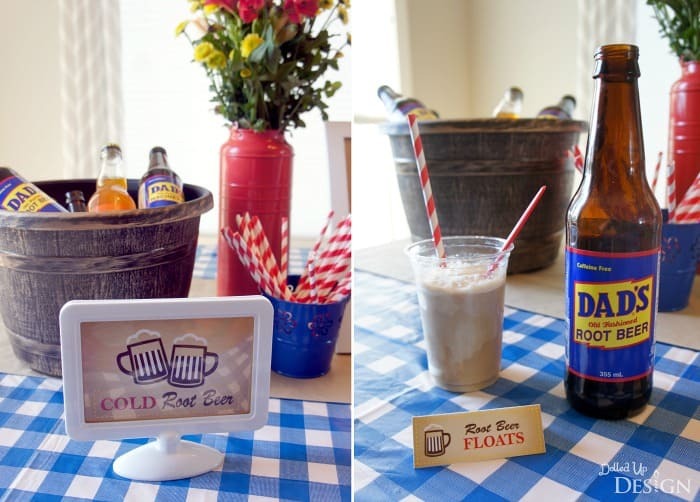 And, if you are serving Root Beer, you better have vanilla ice cream on hand for some yummy Root Beer floats. These were served out of simply plastic cups with red striped paper straws. Besides the sweets, I also came up with a menu of savory Root Beer filled recipes for dinner that night. We enjoyed traditional barbeque foods including ribs, chicken, baked beans and corn bread. Visit my Pinterest board for Root Beer recipes and inspiration. Who knew there were so many things you could make with Root Beer?! 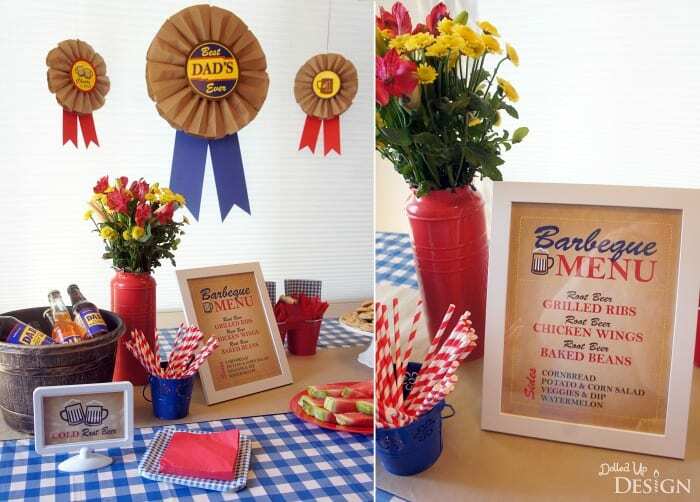 This party would be perfect for a birthday, Father’s day or just because. It is a sweet way to show just how much you love and appreciate the men who play that special role in your life. 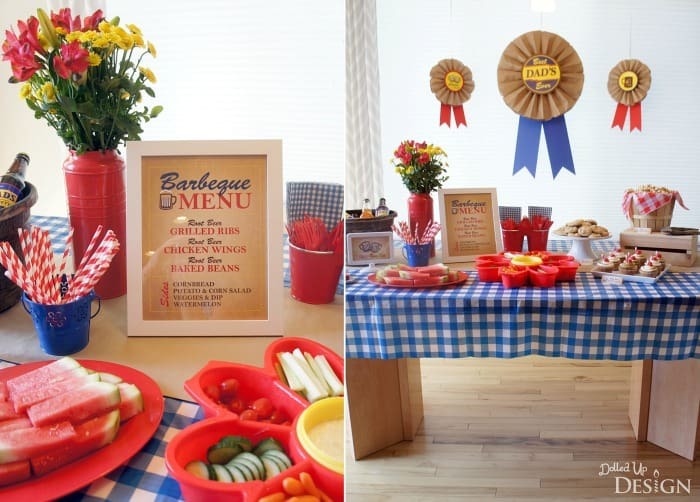 We’d like to send a big THANK YOU to Chantelle for sharing this creative party theme with us! 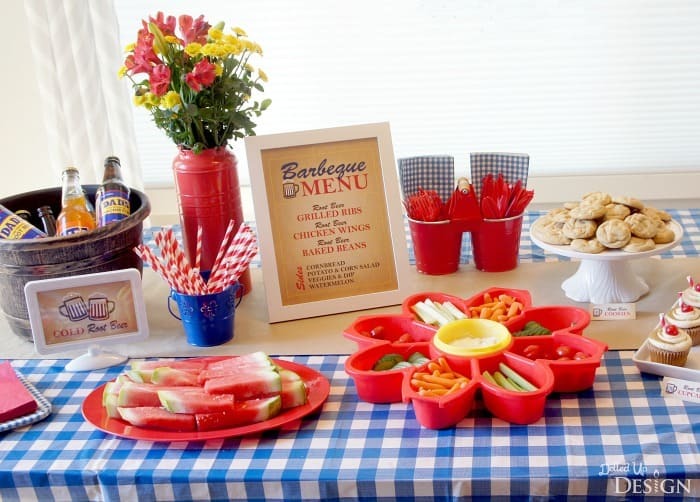 Her parties are always easy to recreate and kids love them! Be sure to follow her on Facebook to stay updated on all her fabulous ideas.